I know I’ve said this before, but I think that spiders are one of the most fascinating creatures on the entire planet. These eight-legged arachnids might scare the wits out of many people, but they’re actually quite docile, provide a great service to humanity by devouring many of our most annoying bugs, and are incredibly smart. Next time you think it might be a good idea to try to capture one, remember that they probably have the upper hand. 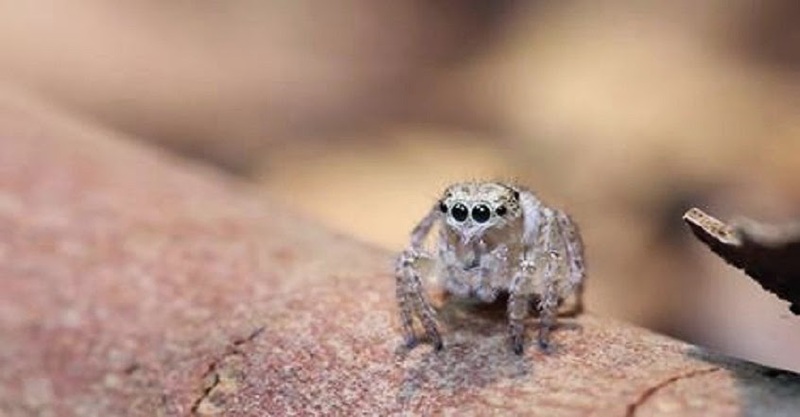 Jumping spiders, in particular, are some of the world’s most beautiful, agile, and absolutely adorable arachnids. They are usually incredibly tiny (I’m talking can-fit-on-your-fingernail tiny) and, instead of spinning webs to catch insects, these little guys actually capture bugs to eat by jumping on them. It’s their ornate colors and the mesmerizing configuration of their eyes, however, that makes them so breathtaking. If you know what a jumping spider looks like, the entire species seems to become instantly recognizable. There are still, though, some exceptions to the rule and some specific jumping spiders that just blow all the others out of the water by being so colorful and unique that seeing them is something so amazing that you’ll never forget it. The peacock spider, like the one in the below video, is one such spider. Set to music, the video shows the beautiful peacock spider doing what appears to be a mating ritual where it raises its third set of legs in the air along with its back, which is, like its namesake animal the peacock, very brightly colored. Not only is this a really cool thing to watch because so few peacock spiders have been filmed in the wild, but it’s also really hypnotic to see the leg movements and peacock-like hind quarters bouncing around in what looks like some type of ritualistic dance. If something like this video doesn’t give you a whole new appreciation of spiders, I’m not sure what will. It’s just so cool!